Kemi Tourism Ltd. alias Experience365 is the Domestic Travel Company of the year 2019 in Finland. Travelling in Finland fair is held in Tampere for the 11th time and it is the only fair in Finland that focuses primarily on travelling in Finland. This award was now presented for the 8th time and the jury consists of the professionals in tourism industry in Finland. Their criteria for the award was that Kemi Tourism Ltd. has succeeded in creating recognizable and internationally appealing tourism products, that are inspired by the cold and arctic nature. 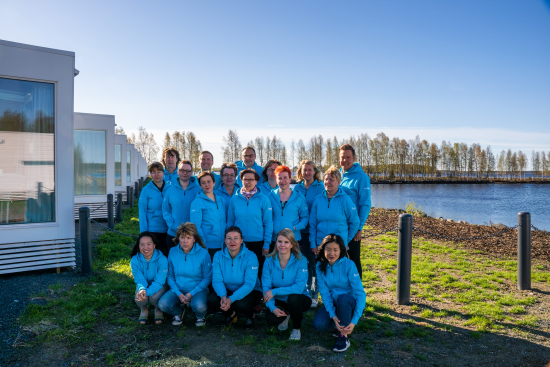 Experience365 is known for the Icebreaker Sampo Cruises and the SnowCastle Resort with Sseaside Glass Villas in Kemi, Sea Lapland. The experience that the Icebreaker Sampo offers is very unique and the jury claims that the SnowCastle of Kemi has been able to create sustainable business in order to develop the all-year round operations and services. “We are deeply touched, happy and surprised for winning the award,” comments Susanna Koutonen, Managing Director of Kemi Tourism Ltd.
“We have worked hard in developing the year-round tourism in Kemi and the whole Sea Lapland area in co-operation with many service providers and we can honestly say that we are ready to welcome all visitors, both domestic and international every day of the year to Kemi. Our hard work is now rewarded and I want to thank our incredible staff the collaborators who have made this possible. This recongnitions give us even more thrive in creating and implementing new services for our guests“, Koutonen continues. The jury also pointed out that Experience365 web site has been branded and constructed internationally and taking into consideration the needs of the travelers. They also gave recognition for the SnowCastle being the most succesfull sales target in Bokun online booking software. "This feels great! We created new strategy last year, changed the marketing name, web site, web shop and started the co-operation with Bokun etc. and all was done in house with our Experience365 team," comments the Experience Director Noora Barria. Kemi is known for it´s winter attractions and adventures on the frozen sea. Now Kemi has a lot to offer in every season. The year-round SnowCastle was opened on 5th of March 2019, the day the city Kemi celebrated its 150th anniversary. The inauguration was performed by Susanna Koutonen, Managing Director of Kemi Tourism Ltd, Teija Jestilä, Chairman of the City Council, and, as honorary guest, Jari Vilèn, Ambassador and the Senior Adviser in Arctic Policy matters for the EU Commission, at the moment, performing the research of arctic politics for the next comission. Jari Vilén, born in Kemi, is former Minister and Representative of the National Coalition Party in Finland. Kemi Tourism Ltd. operating the SnowCastle Resort services is ready to create tailor-made occasions for anyone ordering celebrations or festivities, sauna-evenings, meetings or conferences, any day of the year. All events are spiced up with the snow& ice experience. The main attraction in the SnowCastle Resort in the SnowExperience365 that introduces incredible ice art in fairy-tale like surroundings. 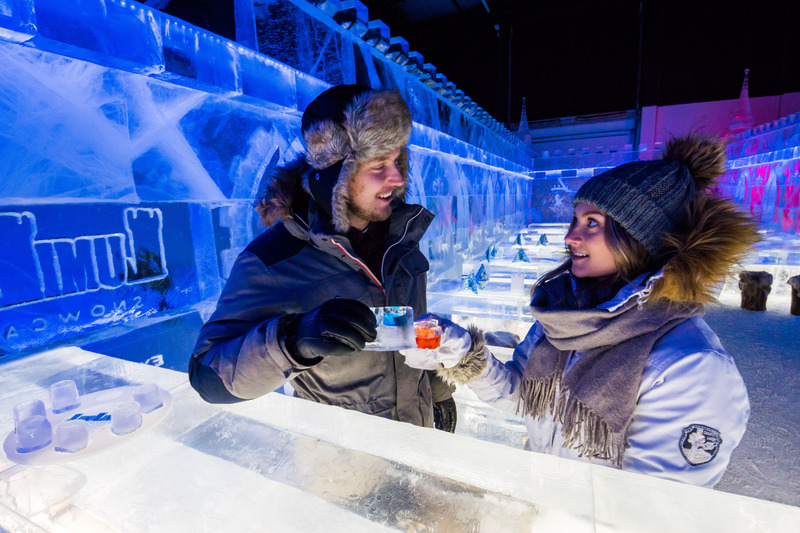 You can wine and dine by the ice table in -5 degrees celsius in IceRestaurant365 every day of the year. This cool experience has been noticed also by Forbes pointing out that the restaurant is one of the three extra ordinary experiences in 2019 that you should add on your bucketlist. If you are looking for a special wedding venue, product launching of film location, the SnowCastle of Kemi offers the wintry location even in the heat of the summer.Resort offers versitale services. From the seaview restaurant Lumihiutale opens the best sea view in Lapland and the tastes are local with modern arctic twist. You can feel one with nature in the Seaside Glass Villas, that are mainly made of glass including the roof and awarded twice in World Luxury Hotel competitions with both global and continental awards. 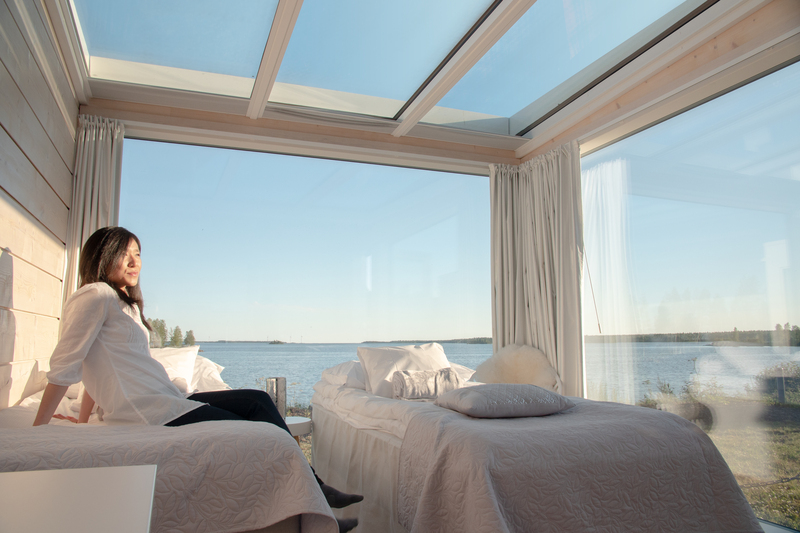 Sea Lapland Day Spa and the sauna department introduces the wellness services that are inspired by the seasons in Finnish Lapland. The city of Kemi and the whole Sea Lapland area is located by the Bothnian bay, connections to the Arctic Circle, Helsinki and Sweden are good. The nature is always around, the air the purest and peolple the happiest. Finland was announced for the second time in a row to be the happiest country in the world. Kemi welcomes all to visit from near and far. Experience the Arctic Freedom - Sea, Snow and Ice 365 days a year.